Justus Hammond was raised in the DMV and has been doing improv in DC for over a decade. He first started performing with the long-running independent team The Lodge. As a member of Commonwealth, Justus has performed in festivals from North Carolina up to New York. Justus became a member of WIT’s first Harold team Private Elevator and also directed Harold teams including Telenovela, Scorched Earth, and Gone Baby Gone. Justus’ training includes the Upright Citizens Brigade Theatre, Faction of Fools, and Studio Theatre. When Justus isn’t doing an improv show he is usually wrapped up in another scripted stage production. Justus Hammond is a current WIT ensemble member of Commonwealth and former troupe JINX. He was also a cast member of other collaborative WIT projects such as Seasonal Disorder, Die! Die! Die!, In Bed, POTUS, and other WIT promotions. He has also participated in three FIST tourneys and was a 2011 FIST commissioner. Justus has also served as an operative and operatives manager for WIT and is one of the longest running operatives of the theater. He was also a member of WIT Harold teams Private Elevator and Capybara. He has also directed former WIT Harold teams Telenovela and Scorched Earth. Justus is also a current member of the longest running DC indie improv troupe The Lodge. 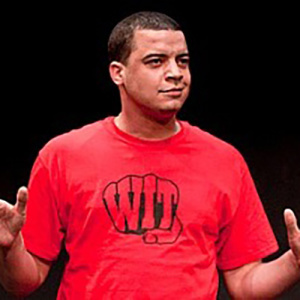 Justus completed the WIT training program and has been active in the DC improv community for over a decade.